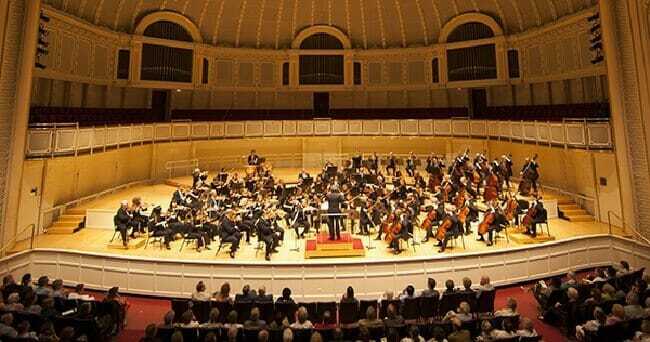 The Chicago Symphony Orchestra performs at the Chicago Symphony Center in Chicago, Illinois. Your student group can enjoy a performance, eat some delicious food and visit the Art Institute of Chicago. The performances are enjoyable and relaxing. The Chicago Symphony Orchestra also presents live productions known as “Beyond the Score.” These live performances incorporate live theater, stunning visual projections and orchestral excerpts played by the Chicago Symphony. The experience will tell interesting stories pertaining to symphonic music. Composers are part of the story. Featured composers include the following: Pierre Boulez, Johannes Brahms, and Maurice Ravel. The Chicago Symphony Orchestra presents the CSO Family MATINEE SERIES. The program is fun for students of all ages. During the performance, the orchestra will take the students on a journey through fantastical tales and musical imagery. The group will have an unforgettable experience through many sights and sounds. Are you searching for delicious cuisine? If so, the Chicago Symphony Center contains a restaurant. The location is called Tesori. Featured food options include the following: pizza, salads, sandwiches, desserts, and beverages. They serve brunch, lunch, and dinner. There are other dining options located near the center. Come with your student group and experience this one-of-a-kind symphony orchestra!